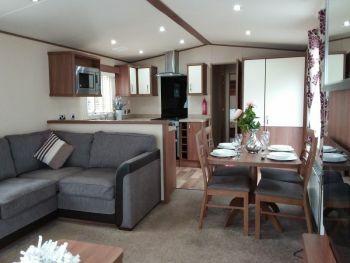 The sophisticated luxury of the ABI Ashcroft provides a comfortable living space that all the family will enjoy. The contemporary open plan living space comes complete with L shaped sofa with occasional bed and scatter cushions. 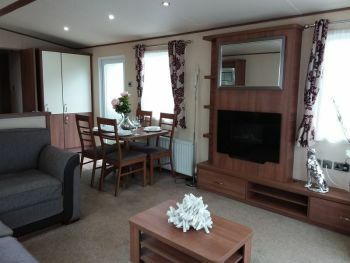 Modern electric fire, coffee table and a free standing table and four chairs. 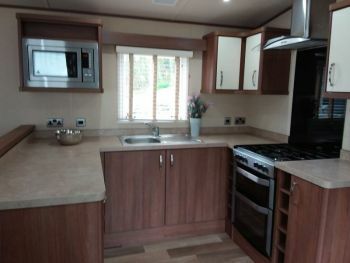 A fully fitted kitchen includes an integrated gas oven with electronic ignition, 4 burner hob, grill and extractor fan, microwave plus american style fridge freezer. 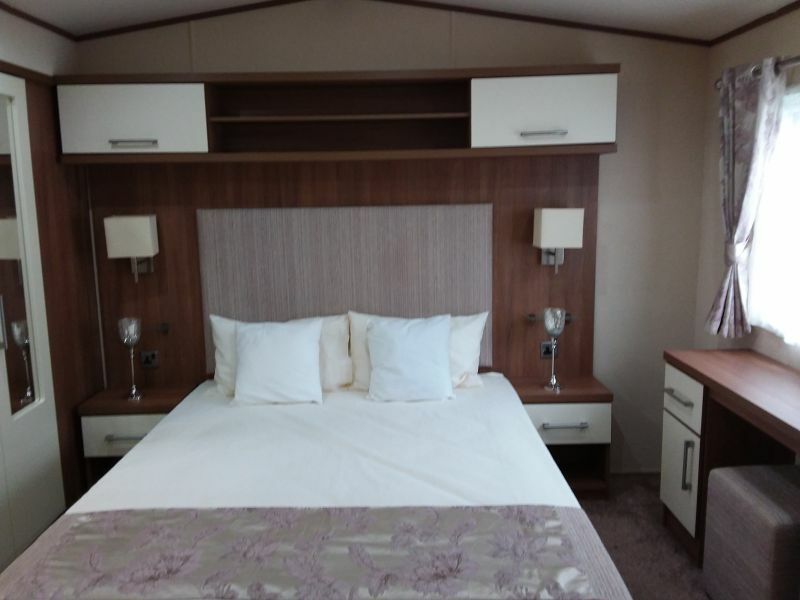 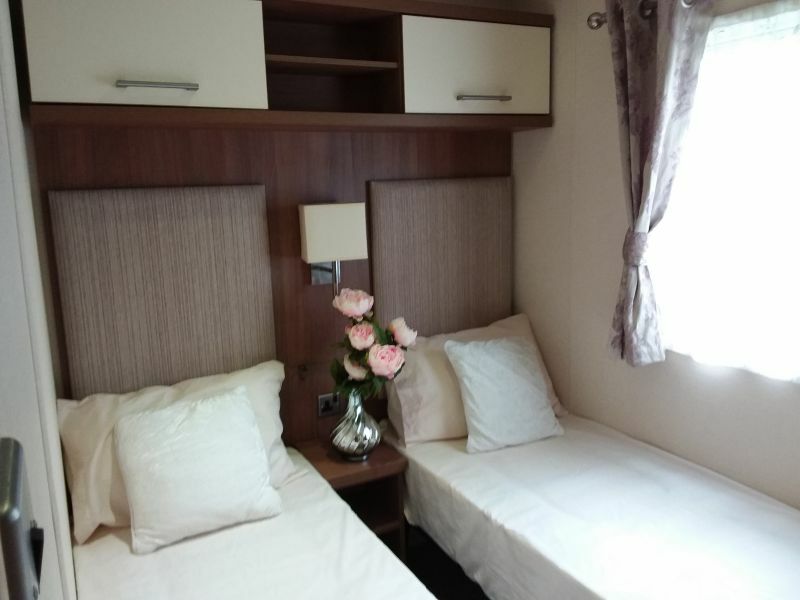 The generous sized master bedroom is en-suite and boasts a king size bed, dressing table plus upholstered stool and enough storage space to accommodate your entire wardrobe. Good sized twin bedroom again with plenty of storage. 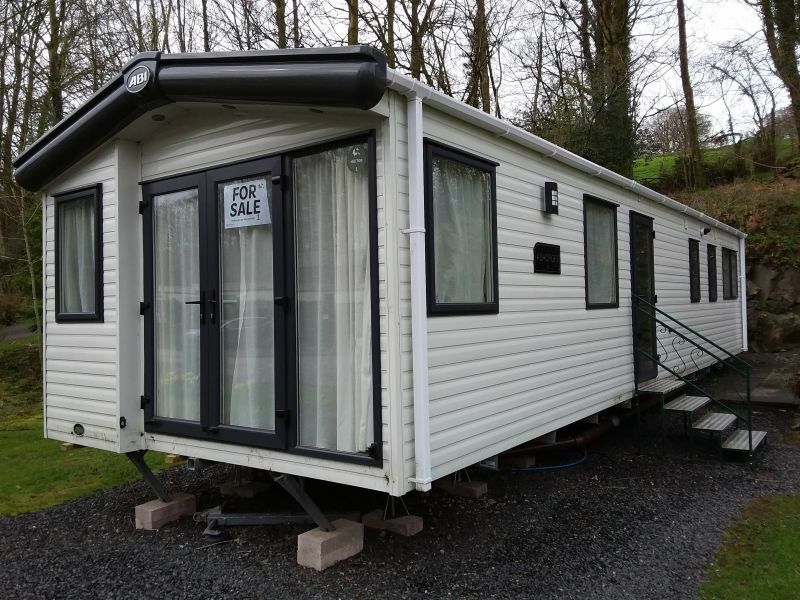 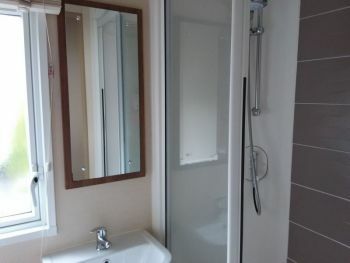 Family bathroom has modern shower unit, wash basin and WC.The ABI Ashcroft is the perfect choice of holiday home if your looking for a place where you are just as comfortable and content as you are at home.